Do I have to necessarily register on Delybazar.com to start shopping? Can I have multiple registration? How to get forgotten password? Is there any extra delivery charges? Delivery charge of Rs. 20 will be added on all oders below Rs. 1000. There will be no delivery charge on order over Rs. 1000. Do you deliver at my area? How do I check? What is the system of delivery in Delybazar.com? Can I place my order over phone? How will I ask for refund/replacement for any wrong delivered products? You can mail us to orders@delybazar.com or call our customer support desk at +91-8231920921 & ask for refund/replacement. Minimum order amount should be Rs.200/- to place an order. There is no additional delivery charges. How do I get my money back in case I return wrong delivered products? What will I do in case am not satisfied with the delivered products? Can I change delivery slot after placing my order? How do I give feedback or suggestion? I am a corporate/business, can I order with Delybazar.com? 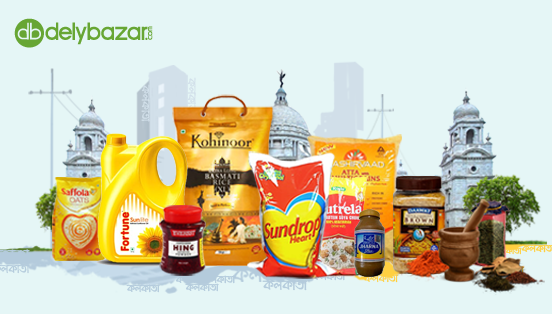 Yes, we do bulk supply of products at special prices to institutions like schools, restaurants and corporates. Please contact as at info@delybazar.com to know more. Where can I find currently running offers? Are there any other charges/taxes in addition to the price shown? How the fish, vegetables, fruits is weighed?